TS-0506-1040 - Turbosmart Wastegates - Hyper-Gate45 - Dezod Motorsports Inc - Home of the automotive performance enthusiast since 2002. 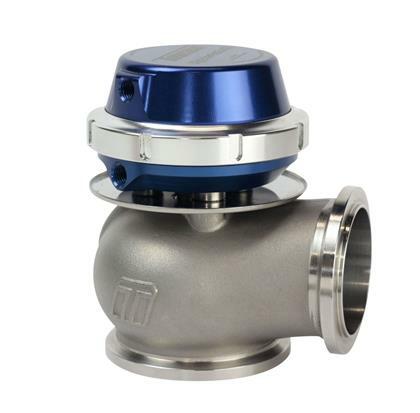 DESCRIPTION: Turbosmart’s new Hyper-Gate 45mm external wastegate for performance turbo applications. Class-leading flow path and temperature resistance give the HyperGate45 a performance edge over similarly sized wastegates. Shielded diaphragm housing ensures excellent heat handling capabilities while a one-piece high-temp stainless steel valve provides strength and reliability. APPLICATION: Suitable for most high performance turbocharged vehicles with an external wastegate turbo system.